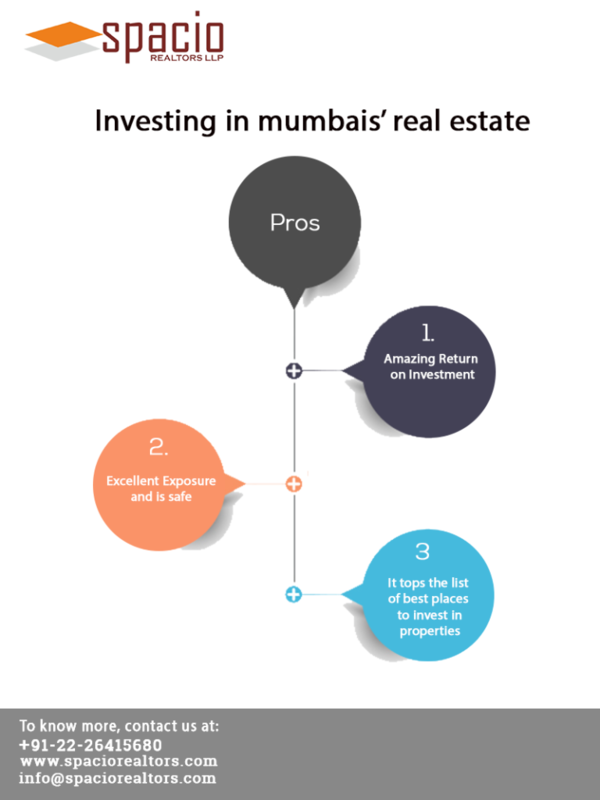 Pros and Cons of buying a home in Mumbai! “Mumbai is infectious. Once you start living in Mumbai, working in Mumbai, I don’t think you can live anywhere else.” -Yash Chopra. I find this quote very true! It connects to all the Mumbaikars out there. From being the habitat of the most expensive residential property of the world, Antilia, to being the hub of unbelievably cozy places, Mumbai has it all. Well, I would say living in Mumbai is adventurous and transforming. Trust me, Mumbai is sorcerous. 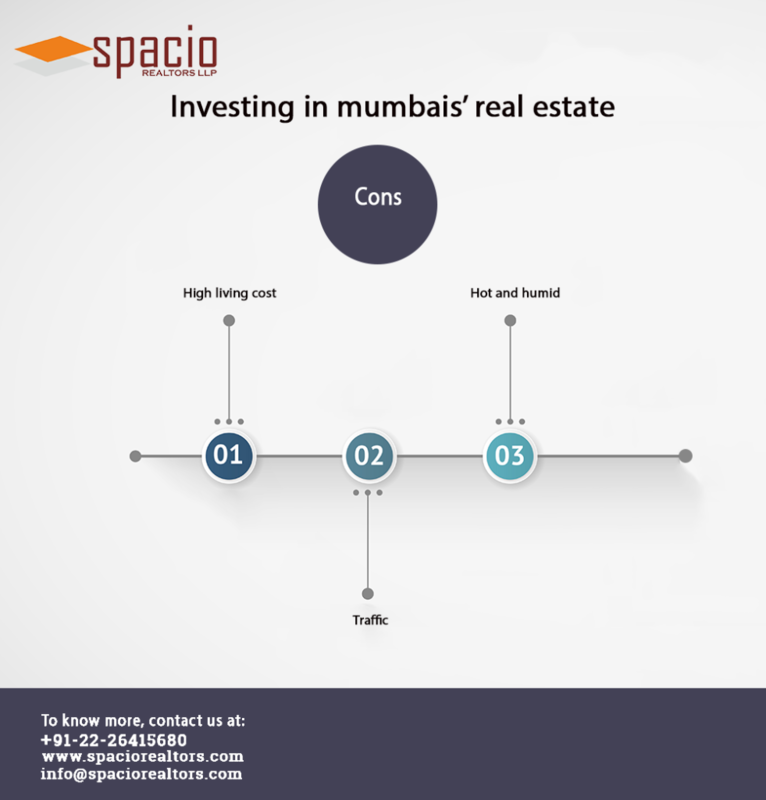 This article is targeted for the people who are looking forward to investing in Mumbai’s real estate anytime in the future. And, even if you haven’t thought about it, you still can evaluate the pros and cons. Mumbai is one place which still has a huge influx of people from across the country. Hence, prices increase constantly every year. Not so much. But, still. Therefore, if you plan to make an investment, do that in Mumbai. The rental rates are high, plus, after 3 years you can sell the property of and get great benefits. Mumbai is the best city in India for commercial real estate investment, with returns of 12-19 per cent likely in the next five years, followed by Bengaluru and Delhi-National Capital Region (NCR). Recommended post: Reasons to buy a property before 2017 ends. When the talent is driven into the city from across the country, there is indeed, huge exposure. With the establishment of IT industry, and being a Bollywood hub, Mumbai became a magnet attracting thousands of people every year. Whilst, the city is rather safe, one of the reasons is the great police and even, there is great awareness among people. Moreover, the city never sleeps! Mumbai shows 17% of vacancies approximately in office market according to a survey. And, the city is well connected as well. In terms of both commercial and residential properties, Mumbai is the best. Having to be stuffed with opportunities and talent, the city can bring great boons. Mumbai is one of the biggest hospitality markets in India. You can say a lot. But, I believe it gives the person many opportunities to carve a decent living. The average cost of living in Mumbai ranges from 23000 INR to 50000 INR. Traffic, pollution, and population are some interconnected problems in the place. However, this is an issue with every place of this country. Whilst, Mumbai being the city of dreams makes people addicted to it. Pollution index of the city is 86.70% according to a survey. Must Read: Reasons for not purchasing a property. Because, of the Indian ocean, Mumbai has a weird climatic condition. Wikipedia has provided a detailed description of the weather of the city, Mumbai. Some people find it difficult to adapt it. In my opinion, there are cons to everything. Wherever you establish a life in, you definitely need to make some adjustments. To improve your odds, you can rather make that huge investment worthy. Focus on what matters and your personal priorities! Subscribe for more such articles, on real estate investments and updates. You wouldn’t be disappointed for sure.